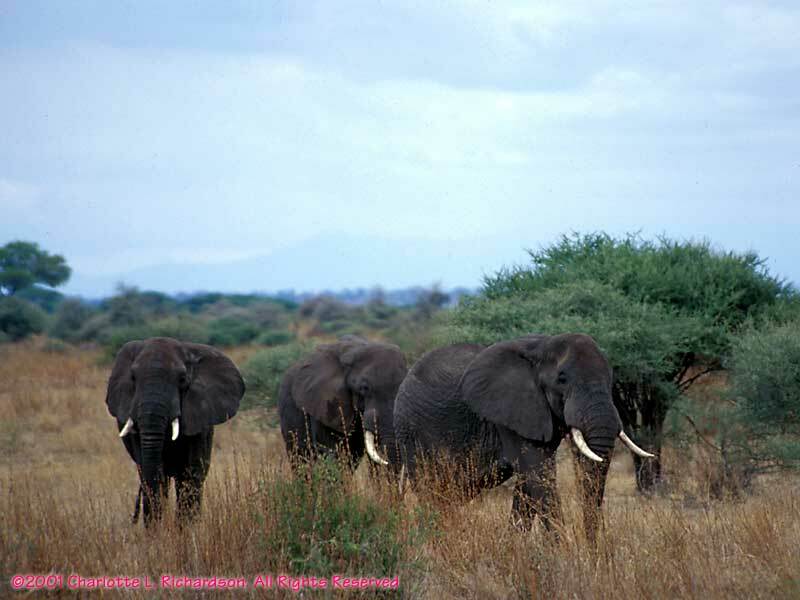 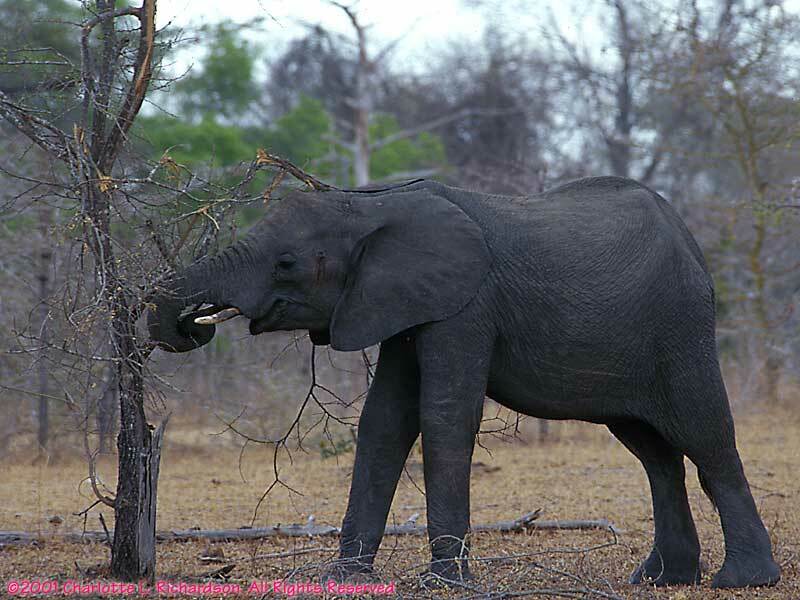 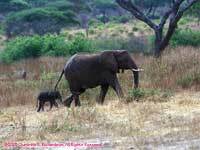 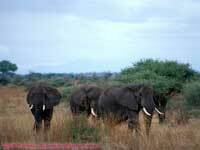 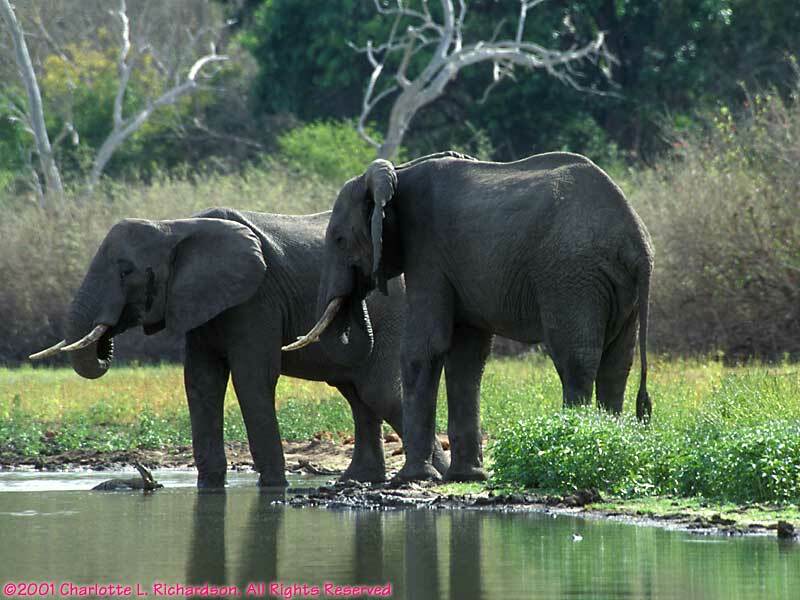 We saw hundreds of elephants, sometimes individuals, and sometimes families or bachelor herds. The elephant was one of two animals which stood in the road and would not move for us. 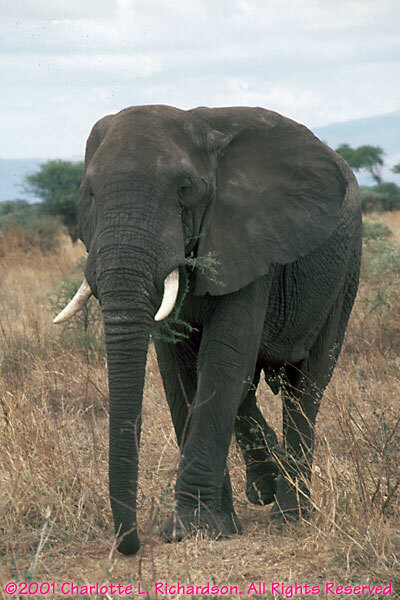 They are big enough that they can smash a truck, and they have been known to do so! 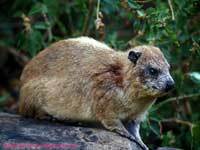 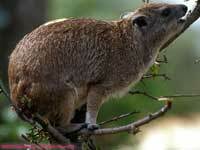 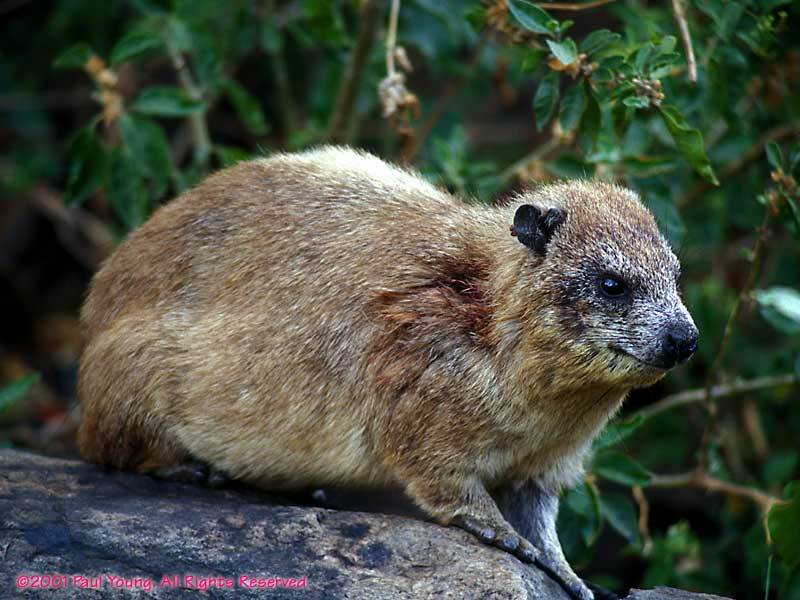 The hyrax is more closely related to the elephant than about anything else. The cape buffalo is one of the most dangerous animals. 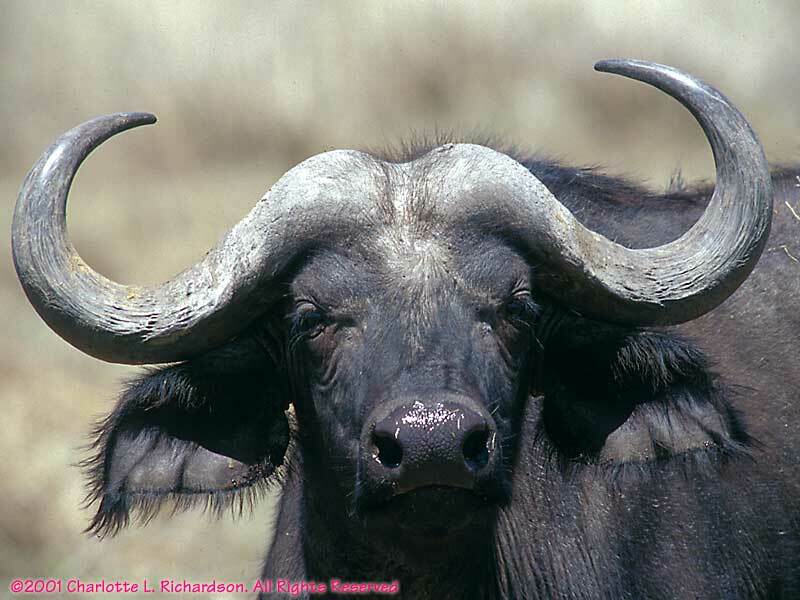 It is big and heavy with large horns. 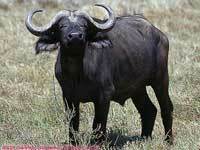 And it has a nasty temper. In Selous, we watched a cape buffalo unknowingly walk towards a pride of lions. 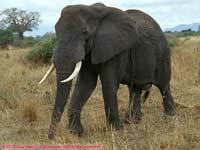 We thought we might see a kill. 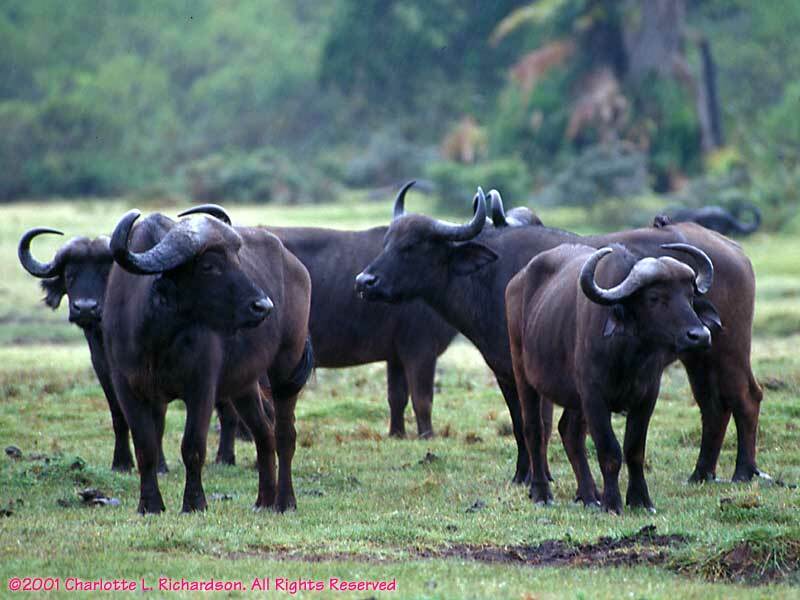 The lions saw the buffalo. The buffalo spotted the lions close-by. 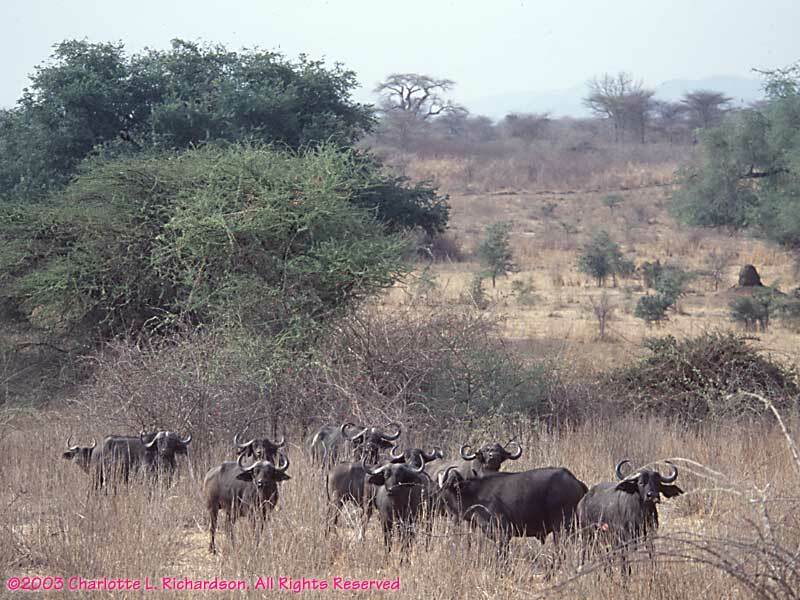 Then the buffalo charged the lions and chased them away! 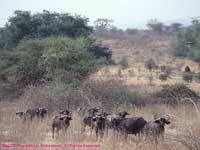 We saw them just about everywhere, sometimes alone and sometimes in herds of up to fifty or more.